Applying for an intellectual property right automatically places your name and address details on one of various publicly available databases. A number of unscrupulous organisations, mostly located in overseas jurisdictions, send letters to Australian applicants. Usually these letters seek payment of an amount to enter the application in a register or index published in a foreign country. The amount sought is relatively large, being generally in excess of A$1000. 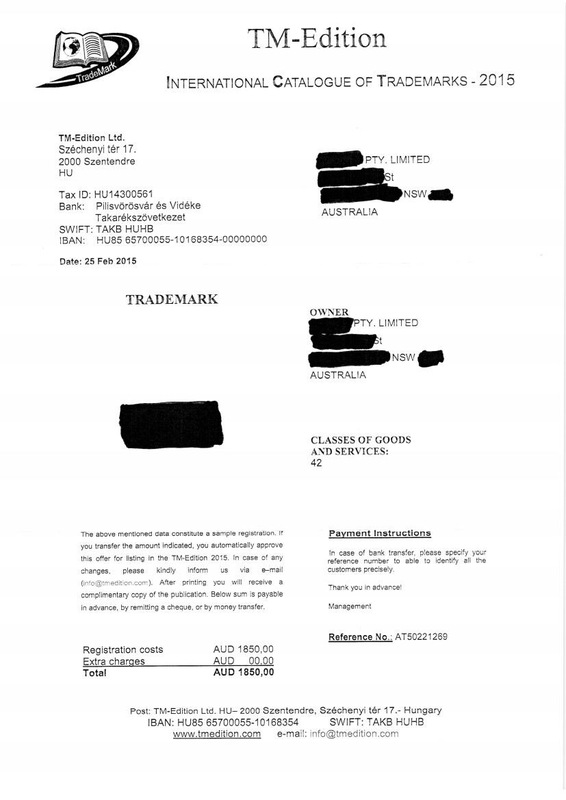 If you receive such a letter, or pro forma invoice, please do not pay without first contacting us. We will quickly tell you over the telephone whether the invoice is genuine. 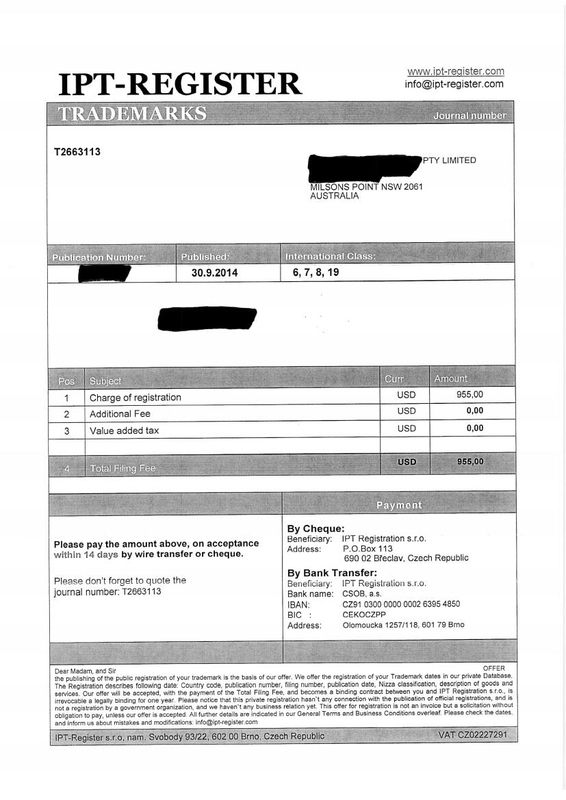 It is almost certainly a bogus invoice.